In the pharmaceutical industry, one term is becoming increasingly important: containment. It describes the process of containing a substance within a defined space, a method that is suitable for protecting operators and the environment in case of high toxicity and product reactivity. At the same time, containment prevents dust, gases or vapours from being released into the environment and contaminating the product. More than 60% of pharmaceutical products are produced as tablets, capsules, lozenges or similar solids. Especially in new products, the active pharmaceutical ingredients (APIs) are becoming increasingly more potent. In some markets, the segment for high potency active pharmaceutical ingredients (HPAIs) is growing in the double-digit range, especially driven by oncology medication. 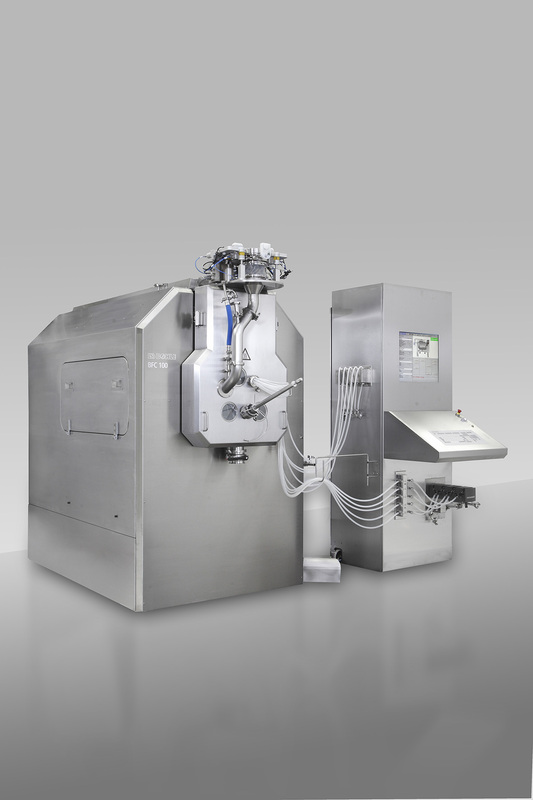 In addition to requirements set by manufacturing guidelines, it is essential that the product is safe for the machine operator and, of course, for the patient. As a result, machine manufacturers such as L.B. Bohle are faced with new challenges in all toxicity classes in which customers want to use plants and processes. In 2017, numerous customers with special specifications turned to the independent, medium-sized, family-owned company requesting, among other things, containment solutions for film coating applications and a dry granulation process. Two projects are examples of this. Firstly, the Filmcoater BFC has been a sophisticated technology on the market for years and has guaranteed top-quality product processing and high profitability. The BFC Filmcoater and its scaled-down version, the BTC, have achieved excellent market penetration. A second successful project is the design of a roller compactor from the BRC series. Already at the product launch in 2012, the BRC 25 and 100 were in high demand among customers. The roller compactors of the BRC series are already popular in the market due to their flexible set-up or integration into the production process. 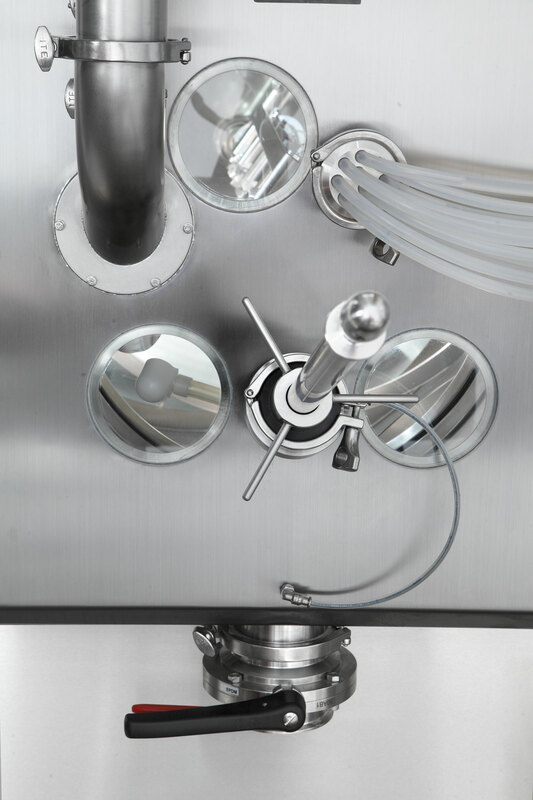 Continuous dry granulation has been an established process in the pharmaceutical industry for decades and is used not only for products sensitive to moisture or temperature, but also for classic wet granulation because no energy-intensive drying processes are required. This saves high investments in systems and production rooms, resulting in lower costs per batch. Dry granulation is often the process of choice, in particular for high-volume or moisture-sensitive products. The BRC 100 Containment is proven through the typical BRC attributes. Just like the standard version, the Containment BRC features an advanced electro-mechanical drive, completely eliminating the need for hydraulics. In addition, the special version is equipped with the latest and fastest control which enables fully automated operation. The BRC is very user-friendly and low-maintenance, with very short set-up times. Following a successful short project phase, L.B. Bohle supplied its customers with a BRC 100 according to the latest containment requirements. of interfaces between the system components. Both complex individual solutions are going to create added value in daily operation.